Typically in a central location so it is more likely to hear commands. Could be large enough to house the neccessary componants to serve as a hub to other smart home accessories so Siri could control your lights, etc. If there are multiple input devices throughout a house and multiple users, then Siri Home would need to listen, process and respond on different devices simultaneously. 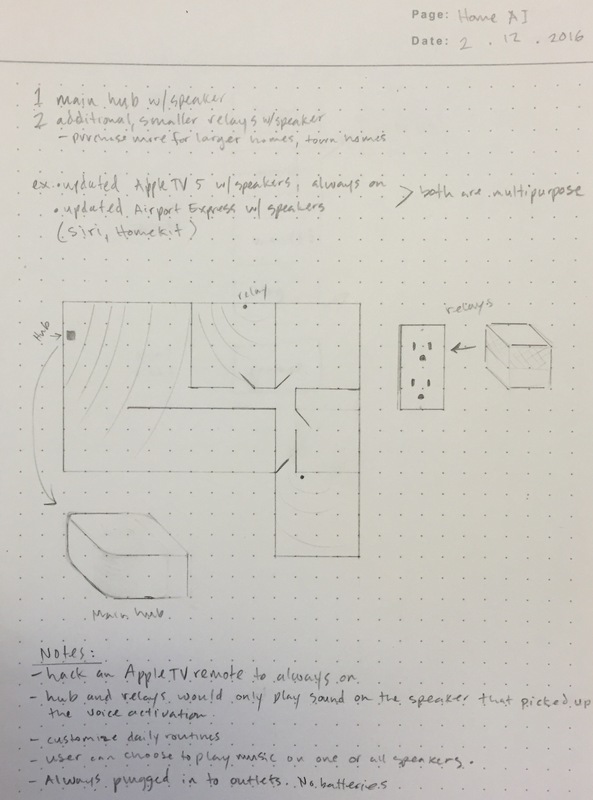 No word on HomeKit integration for the Apple TV? Hopefully it's ready by launch. "Hey Siri, it's 'TV Time'." is something I will say daily. While the new Apple TV did launch with Siri, it's a paired down version focused on the TV experience and only works when the TV is also on. Any hope I had for it's functionality expanding in an update were dashed when I saw there wasn't even a microphone on the box itself, only on the remote. I can still hope for the Apple TV 5.